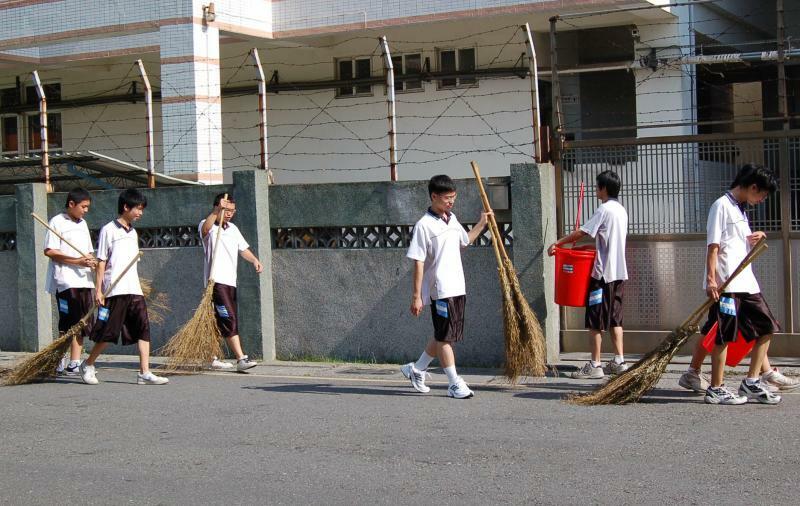 A rotating group of kids is required to clean the school every morning. Armed with their brooms, buckets and mops they spend most of the their time in the shade during the hot months of summer. Yuanlin, Taiwan.